It’s important to actively watch how much water we use in one day. When it comes to beauty, it’s actually quite easy to use a minimal amount of water. In our experience, it takes no more than a 5 minute shower to properly clean and rinse both your hair and body. It’s even proven to be enough time to shave your legs! While in the shower, cover things like brushing your teeth and cleansing your face. This helps spare the amount of times you turn the sink on and off. A huge part of being sustainable is re-use. Instead of tossing out your empty cosmetic containers and bottles, wash them with a drop of soap and a cup of water. Once they’ve dried, think about refilling them with another cosmetic product or cutting it open for a more mundane use. Filling your containers with things like hair ties, bobby pins, or even better, a plant, is the perfect way to feel like the ultimate conservationist. Among our favorites is the stylish Davines product bottles! While still growing, the sustainable beauty industry has been so beneficial to our Earth and beauty professionals. 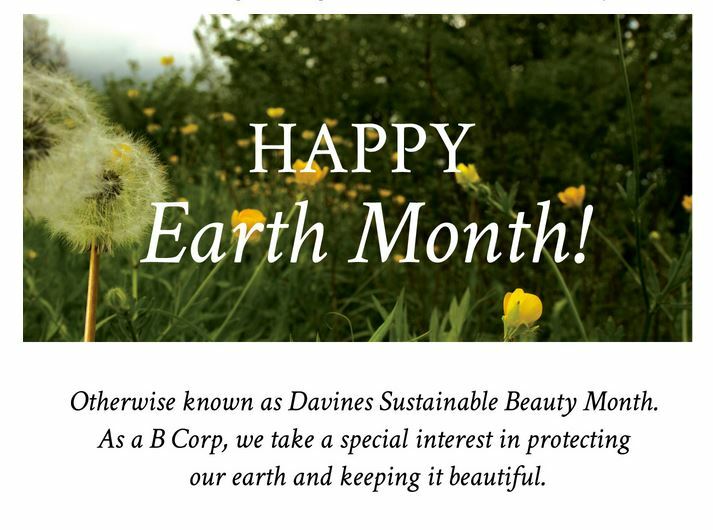 We are proud to call ourselves a sustainable beauty and Davines salon.